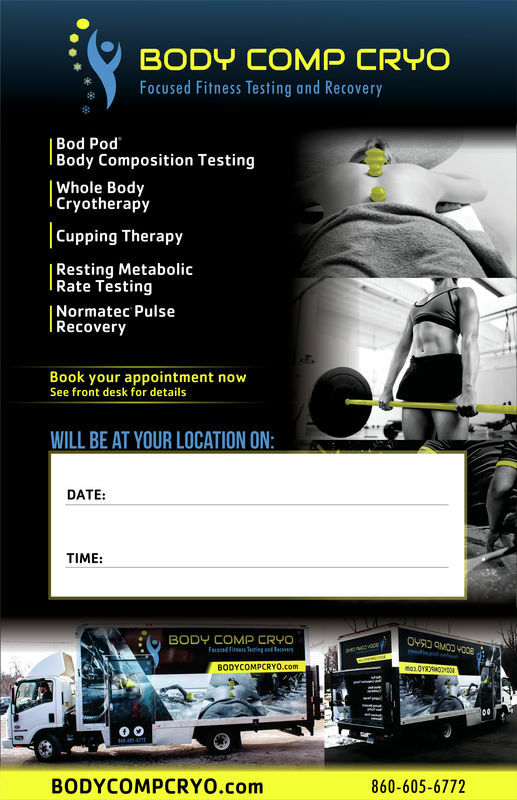 Body Comp Cryo is a one of a kind mobile fitness lab for testing body composition and recovery. The lab provides state of the art technology and services so that individuals can achieve their fitness goals and recover from workout induced pain. Services include whole body cryotherapy, body fat testing with the gold standard BOD POD®​, cupping therapy, normatec pulse recovery, as well as resting metabolic rate testing. We can provide all of these truly unique fitness services to your doorstep. Body Comp Cryo offers body composition testing and recovery services not only to individuals, but also to fitness centers and businesses, as well as special events and competitions. Schedule your appointment now!